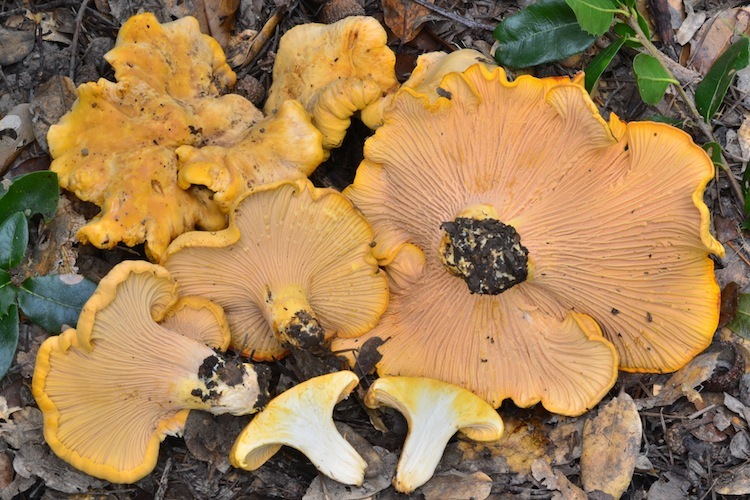 Cantharellus is a genus of very well-known mushrooms found in temperate forests around the world. 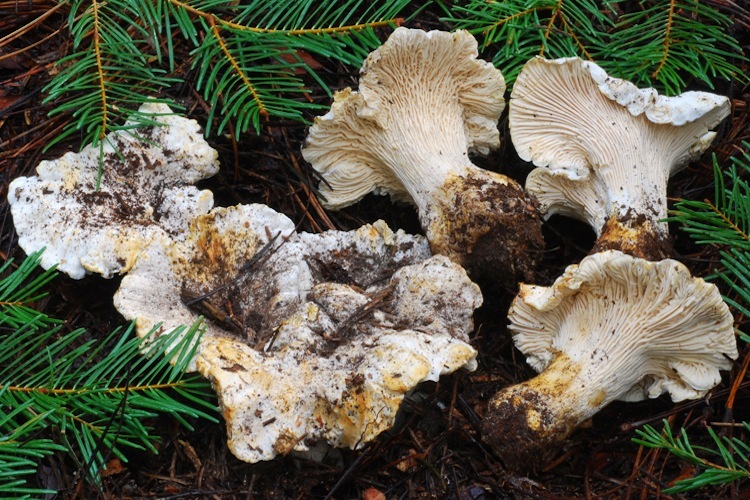 All share a distinctive stature - the fertile surface is made of shallow, veinlike "gills" that run deeply down the stipe, the fruitbodies are trumpet-shaped or triangular in cross-section, and the caps grow indefinitely, often becoming ruffled and wavy in age, and the flesh is white and stringy. 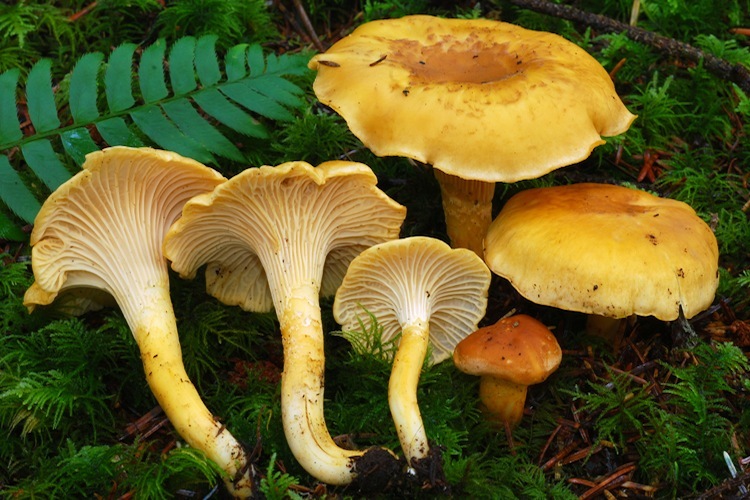 These mushrooms are extremely popular as edibles because of their bright colors, fruity odor and flavor and their abundance (in good years anyway). They are collected and sold commercially, especially in the Pacific Northwest. Fairly few species occur in California, but there has been a recent surge in the description of new species from the United States, and it is possible that some species in our area remain undescribed. Identification can be subtle, but becomes easier once one gains broader familiarity with the common western chanterelles. 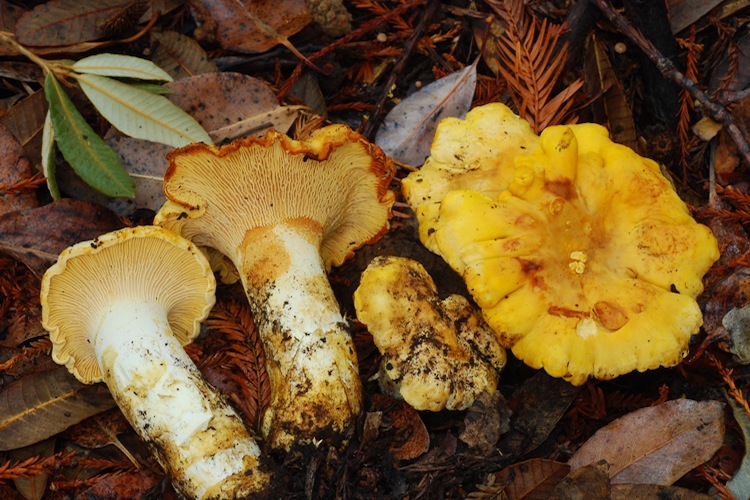 In our area, only one chanterelle is common at all (Cantharellus californicus). Important identification characters include size and especially stature (stocky or slender? ), coloration of all surfaces (especially when young), and host trees and habitat.